If you are a UK national intending to study geography at degree level you might be eligible for a grant of up to £4,000 to join one of our programmes. 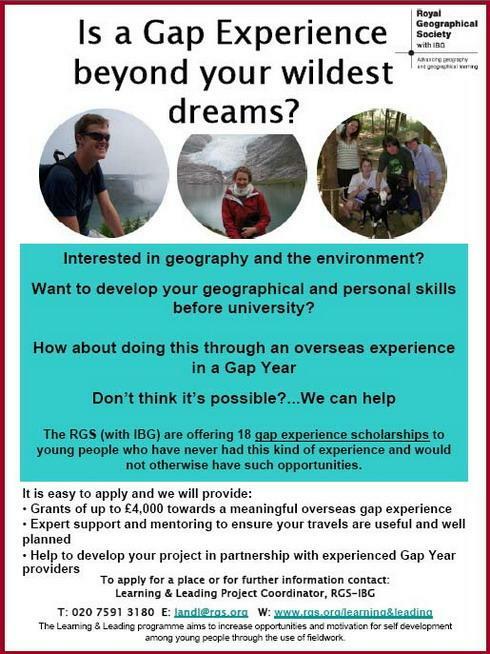 The Royal Geographical Society is offering 18 gap experience scholarships. It is simple to apply for one of these scholarships requiring you to fill in an electronic application form as well as getting a teacher to provide a reference. For this years scholarships you need to apply quickly as the deadline is Friday 16th October.